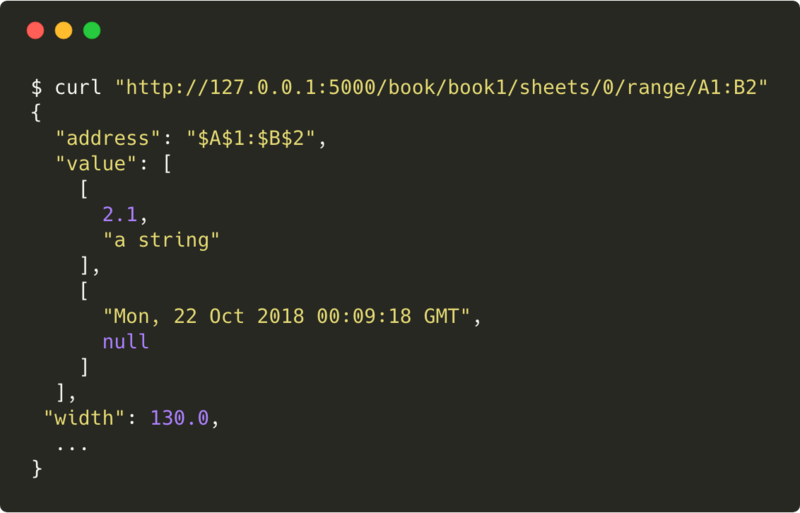 With its most recent release, xlwings offers an easy way to expose an Excel workbook via REST API both on Windows and macOS. If you want us to to add the POST methods, let us know by upvoting/leaving a comment on this GitHub issue! The REST API can be useful when you have a workbook running on a single computer and want to access it from another computer inside your company. Or you can build a Linux based web app that can interact with a legacy Excel application while you are in the progress of migrating the Excel functionality into your web app (if you need help with that, give us a shout). There's also quite a few other things that made it into this release, see release notes. Every year, we answer hundreds of questions about xlwings via GitHub and StackOverflow and we will continue to so. However, we get more and more email requests by users who want faster and more hands-on support. That's why we introduced priority tickets. You can get all the details about the various support methods here. Our on-demand video course now has a new video about the main feature of xlwings 0.12: Being able to call Python functions from all Office applications, not just Excel. The new video shows in details how you set everything up to work with Microsoft Access in approx. 8 minutes. Everybody who is enrolled in the course gets access automatically. Check it out! xltrail is continuously improving based on customer feedback. Recently we added a list of of changes and a formula bar to be able to easily see changes in long formulas. Another great feature is that you can now send around direct links to cells (or VBA code lines) which makes it very easy to discuss changes in your critical workbooks with your co-workers in chat or by email. As an example, see how you get directly to the cell on the screenshot in our demo instance by clicking here. xlwings: v0.13.0, see release notes. xltrail: v1.9.5, see release notes.